Dr. Oz has featured acupressure mats and pillows on his show 3 times now. Last week, Dr Oz named acupressure mats one of the best products for Natural Pain Relief. He explains that the spoonk acupressure mats work by stimulating your body’s acupressure points, releasing pleasurable endorphins, and reducing stress hormones, and cortisol. Acupressure has been used for thousands of years in Asia and more recently in Europe as a very effective therapy for chronic pain, stress, insomnia, and circulation problems. 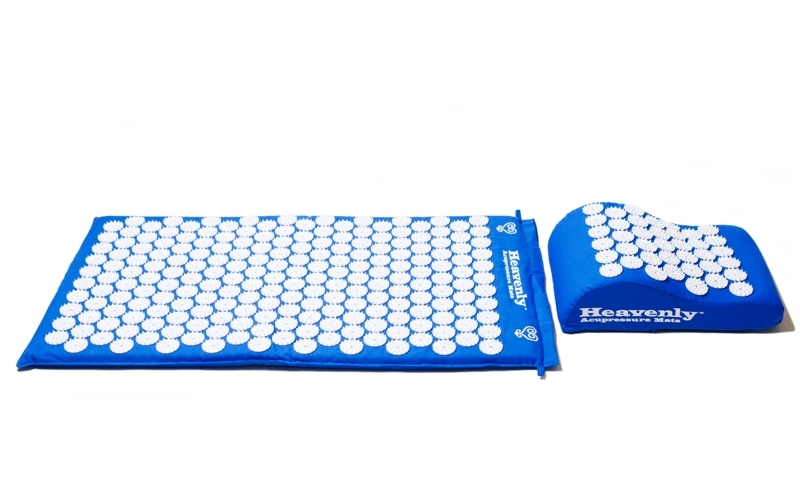 Order your Heavenly acupressure mat today – Now On Sale at only $27.95 for a limited time only! ← Acupressure Pillows reviewed on the Dr. Oz Show for natural pain relief.